Received a federal grant to construct 1,500 feet of new sidewalks in the Valley. Presented to city officials a plan of desired improvements for one of our local parks. Lobbied for the sale of city lot in the Valley to a local church rather than an out-of-town developer. Developed a "Traffic Control Plan" for the roadway around Whittington Federal Park that was unanimously approved by Hot Spring’s Board of Directors. Obtained a $65,000 Federal Grant to improve a local park in the Valley. Supported several worthy local charities with cash donations. The Whittington Valley Neighborhood Association (WVNA) is one of the oldest continuously operating neighborhood organization in Hot Springs, Arkansas. 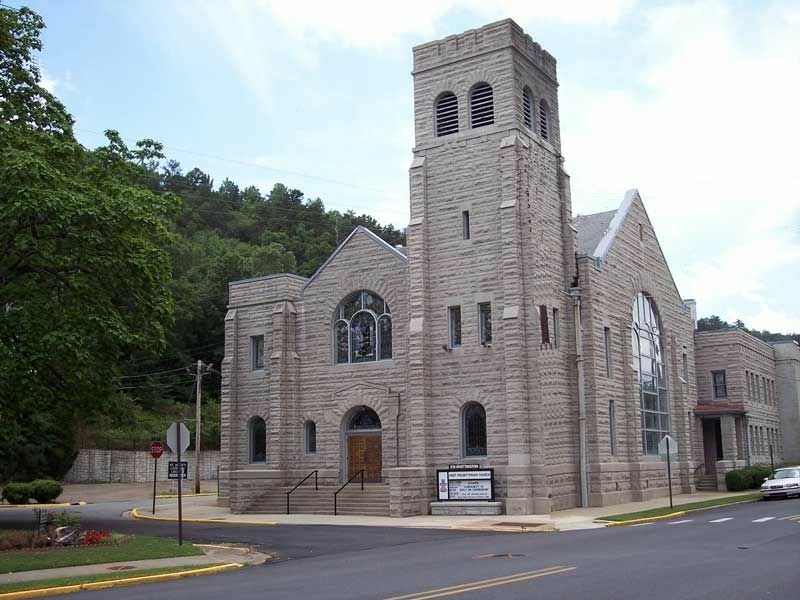 Since 1988, the WVNA has worked to preserve the unique character of our neighborhood and to promote the best interests of the residents of the Whittington Valley with the City of Hot Springs and the community at large. We are a group of about fifty area residents acting together to stay informed about issues affecting the Valley, our friends and our neighbors. We meet monthly, usually on the second Monday of the month (except for June when there is no meeting). Our meetings start at 6:30 pm and rarely last more than one hour. We meet at the Valley's own First Presbyterian Church, 213 Whittington Avenue (pictured below). We welcome all guests and visitors. Visit our "Calendar of Events" page for a list of our upcoming meetings. The Neighborhood Association has an annually elected Board of Directors which completes tasks as assigned by the membership at large. All actions undertaken by the Board are reported to the membership at the next regular monthly Association meeting. It is the policy of the WVNA Board to foster open communication with the membership. To this end, we post all our meeting minutes online going back two years. In addition, we rountinely send out one or two emails a month to all our members with updates about events and issues of importance to Valley residents. Visit our "Online Documents" page to view our past meeting minutes, Articles of Incorporation, Bylaws, Governing Rules and various other WVNA documents.